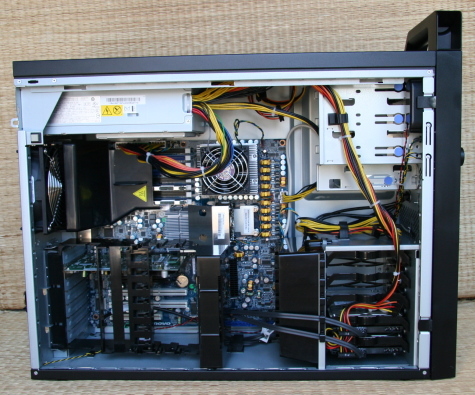 System: Lenovo D10 ThinkStation 6427 CTO. VitalBodies new Lenovo D10 ThinkStation Workstation is now up and running on an Open Source 64-bit Ubuntu Operating System! Off Gas And Dust Control: Rather than wearing a gas mask for fumes and having lots of dust accumulate inside this brand new workstation, VitalBodies created a charcoal filter for the intake air and another for the air that comes out the back of the Lenovo D10. Charcoal is known for taking many toxins and many kinds of odors out of air and is used in most leading air filter systems. Ubuntu 64-bit: Ubuntu works out of the box easy on this workstation! No issues to report. Everything is setup except the Nvidia Quadro Proprietary drivers. That will need to happen for doing 3D work. Open Source: Currently everything this workstation runs will be open source except Flash and Nvidia drivers once 3D work begins. As soon as Gnash is ready for newer versions of flash VitalBodies hope to shift over that software. VitalBodies will also have to choose between running the Sigma Photo Pro program (for editing Sigma SD14 RAW files) or UFRaw or both. Video Drivers: Video Drivers are the last detail in being totally Open Source. Currently we are using Open Source drivers but will likely need to shift once start using OpenGL while running Blender. LightScribe: Installed our own DVD burner but have not attempted to setup LightScribe yet in Ubuntu. Portable Drive: VitalBodies runs the operating system and all the programs off a portable external 250GB drive. 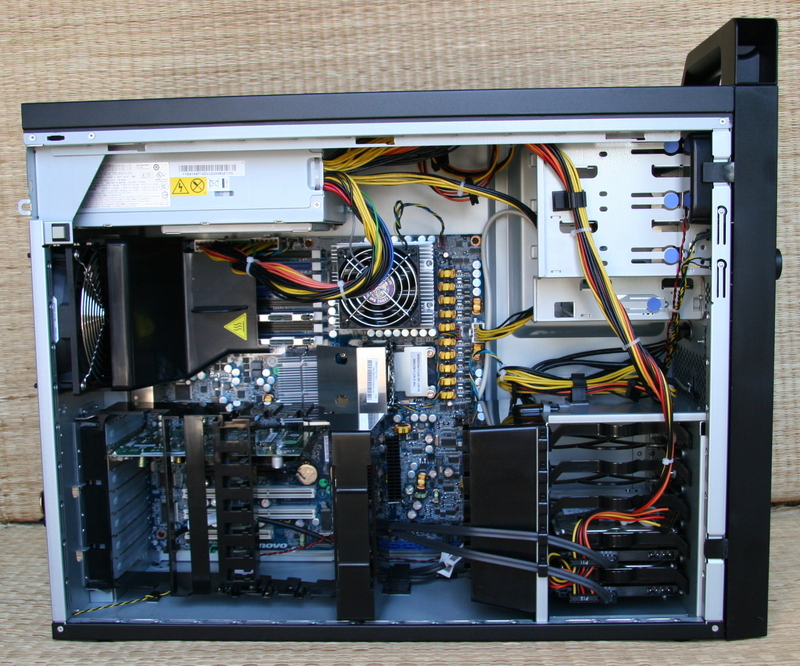 This enables any computer to function as a VitalBodies computer by just plugging in the drive (to 64-bit hardware) and booting to the drive. This is great for travel also when you know there is a computer at your destination. Additionally if you do not have time to update your notebook with countless changes since you used it last like bookmarks, email and such you can use the drive as a storage hard drive.